A bunch of us will be at Vermont Comic Con this weekend with a booth! If you're in the area. stop on by or send people our way! Booth P11 in the Promenade of the Sheraton Burlington Hotel. 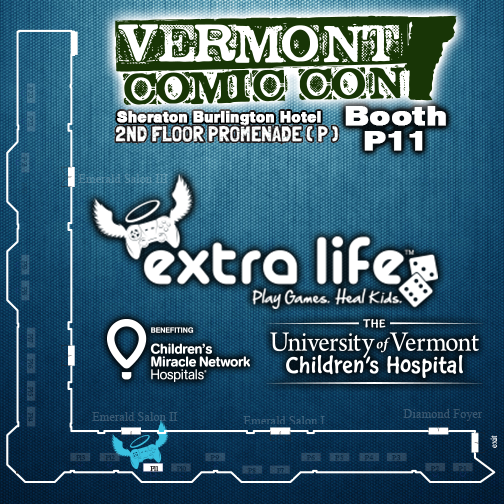 Learn more about VT Comic Con here • Like Vermont Extra Lifers on Facebook to stay in touch • Questions? Let me know!